Women with naturally straight hair can match their pixie haircut with sharp and full bangs. Those who have fine locks may find it a good idea to ad straight bangs which provide with some visual fullness on the front part. 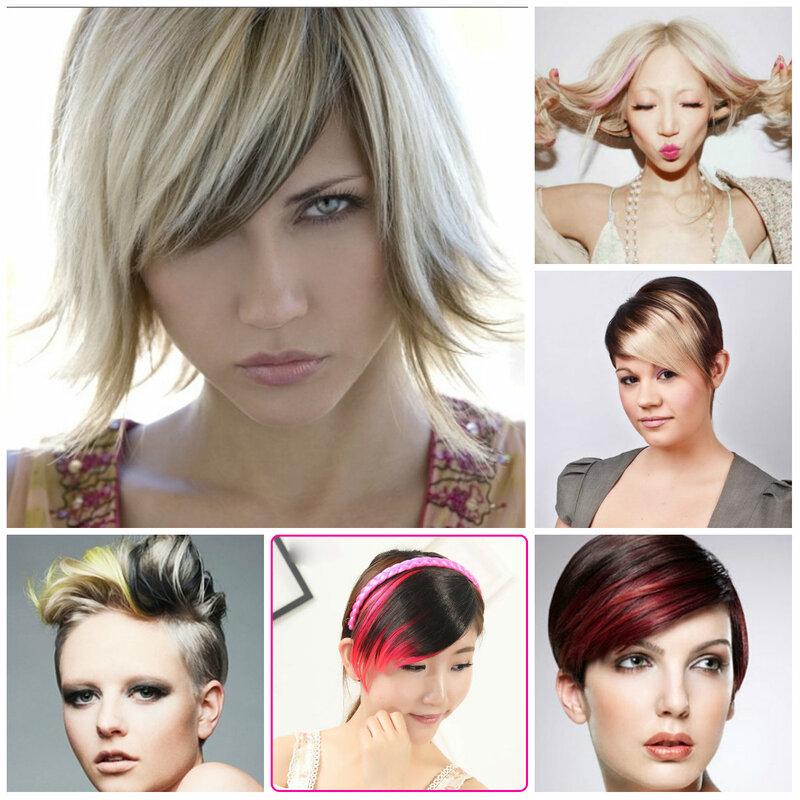 They can be styled into side swept or spiky hairstyles according to your style, taste and preferences. Since straight hair is harsh and sleek bangs make it look subtle and chic. Right chosen bangs can add softness and subtleness to long haircuts. They are beautiful both with straight and curled hairstyles. Side swept bangs compliment most face shapes and soften unpleasant facial features. It’s better if you choose long side swept bangs for your long tresses. Those with fine hair can go for cute wispy styles. If you have light blonde hair and need to break down this monotone effect then add ash brown or darker highlights on your bangs. 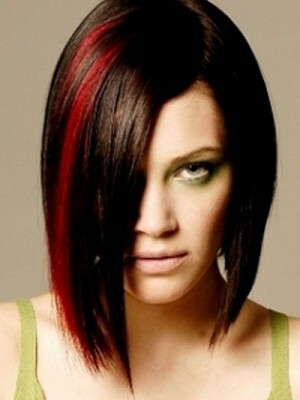 Front hair is more ye-catching and if you dye it in a flashy hair color you will stand out from the crowd. According to your blonde shade and skin tone you can apply dark highlights which compliment your complexion. So, consult with your hair colorist before going for any dark hair color. Adding bangs to simple straight hair is the easiest way to make your appearance look fresher and trendier. 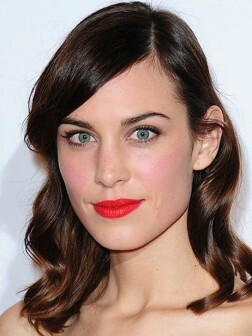 Blunt bangs are the best options for long straight locks and those who have big foreheads can hide it with this fringe. Women who don’t want to hide their forehead entirely may opt for short straight bangs which also go with long straight hairstyles. Blunt bangs seem not to leave the world of fashion as they are always requested, many choose them to hide their big foreheads. They go with many haircuts starting from bobs to super long and straight. These bangs give you a mysterious look and draw attention to your shiny eyes. Avoid colorless hair days with a fashionable and voguish hairstyle. These short chic hairstyles for 2014 will resolve all your problems. Make your tresses be on the top by throwing away the broken ends and unmanageable texture. These springs short hairstyles 2014 will make you look very fashionable. Collect all the high quality styling accessories and begin your transformation. Do up the iconic micro-cuts that will give you the chance to emphasize your best features and form your hair in thousand various ways. To help you achieve your goal in transformation we have chosen several professionally-inspired hair styles. Brighten your look with marvelous pixie which you can wear either disordered or super-tamed. Short tresses will give you the opportunity to spend time on styling and not waste it by cleaning and conditioning. Use your imagination to create a head-turning look. Throw away your locks to the side for a gorgeous ‘good girl’ effect. Anyway if you are keen on showing your love affair with messed-up and teased hair style, choose a quaff or missed-up hairstyle. Update your haircut with several hair styling formulas. Classy bob hairstyle is still the most popular one for all ages and preferences. It seems that bob hairstyle has survived the decades and will always be the best choice for any taste. There are zillion bob haircuts that look simply fantastic so if you have made up your mind to have new haircut, you should definitely opt for stylish bob haircut. 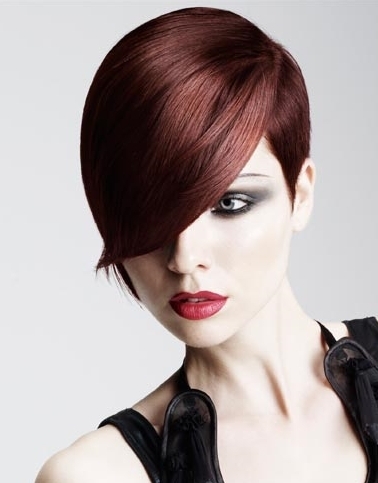 These amazing bob haircuts of 2014 will show you the latest trends of classy bob haircut. If you still doubt whether bob haircut will be suitable for you or not, you can get some inspiration from celebrities who wear trendy bob hairstyles. Thanks to great variety of bob hairstyles you will be able to find the most suitable one for your hair texture, face shape and personality. 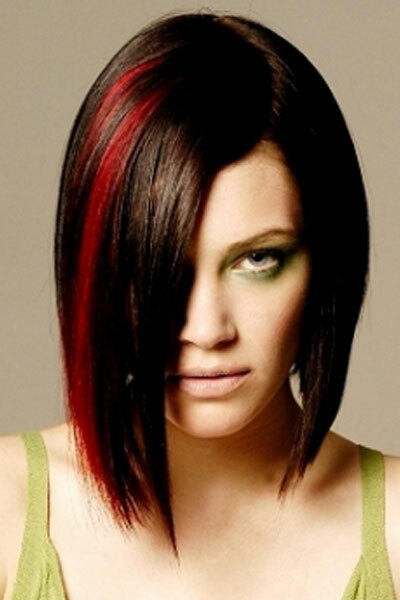 If want to create an image of lady vamp, choose inverted bob haircut that will glam up your look in a flash. 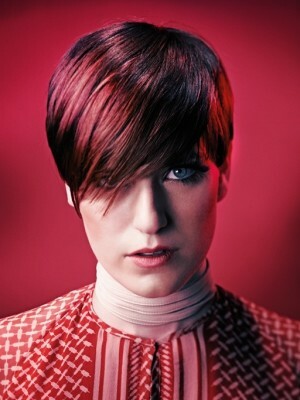 Style your inverted bob super sleek and finish the look with shine serum for blinding gloss. 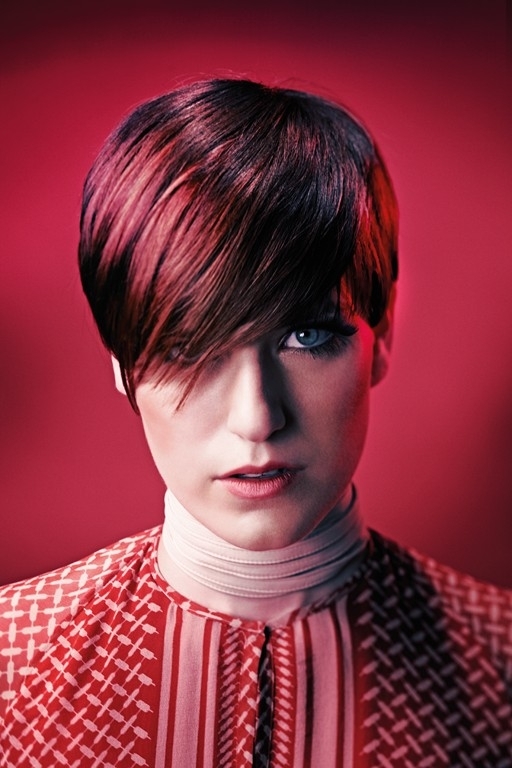 Next popular bob haircut that is very trendy is short bob style. Short bob haircut will be great alternative for women who cannot spend much time styling hair. Add choppy layers to your short bob to create funky look or opt for soft layered bob style for more elegant and feminine look. Short haircuts have already invaded Celebville and millions of women choose stylish short haircut. Indeed, short hairstyle has many advantages like low maintenance and simple hair care routine. These options are very important for busy women and office workers who simply do not have time to style long hair. 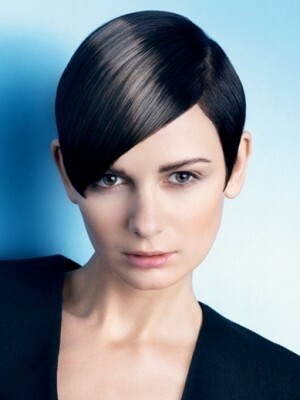 Furthermore, short haircut is the best option to get rid of split ends and lifeless locks. 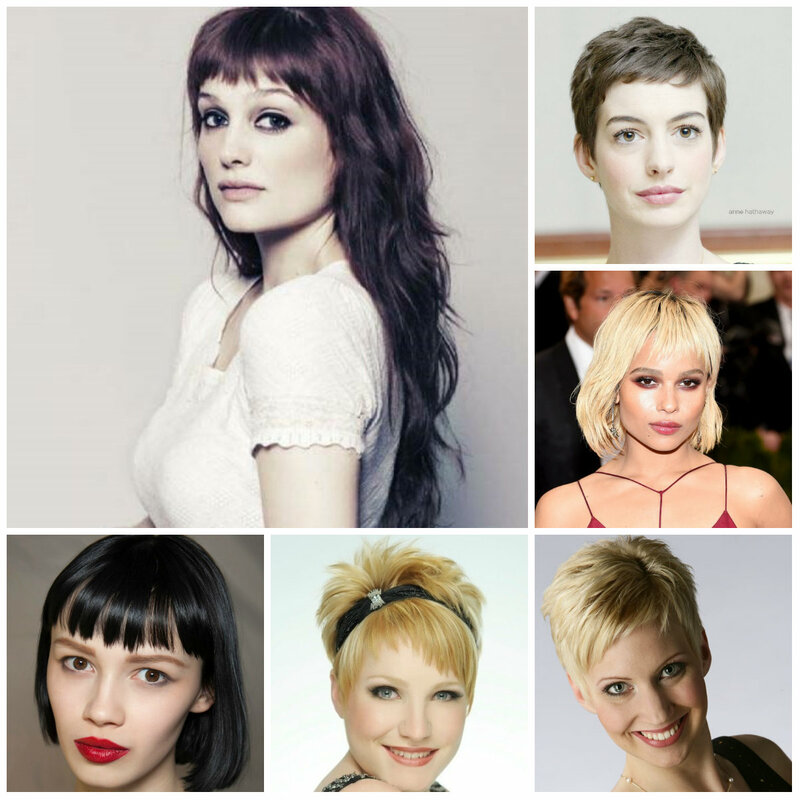 There are zillion styles of short haircut as well as styling options to create stunning look but if you are looking for elegant short hairstyle that will highlight your femininity take a look at these examples of trendy short hairstyles with bangs and pick the most flattering one to complete your attractive look.